Well I've realized something about myself... I'm a teeny tiny bit overly optimistic. I like to look at the sunny side of life as well as think there is unlimited hours in the day and not 24. 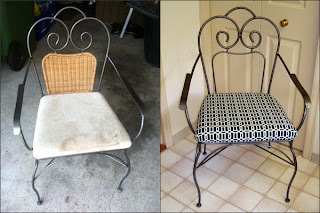 Why do I say this - because I thought I could get my 4 chairs reupholstered today when really I was only able to get 1 updated. 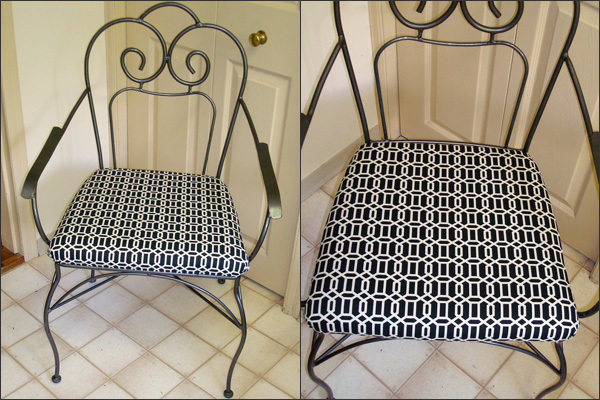 Here's my chair with the new swanky fabric. Love it! This afternoon, I removed hundreds of staples from my 3 seats. It took me a lot longer than I expected! 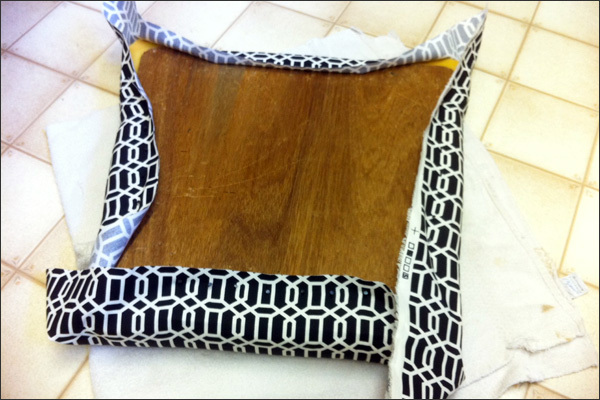 But once the staples were gone, I worked on the upholstery for chair 1 of 4. 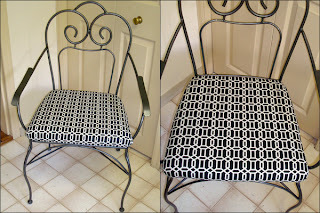 The metal chair minus the wicker with the new fabric looks super lovely! After working on my chairs, I started on baby booties pair 2 of 4. 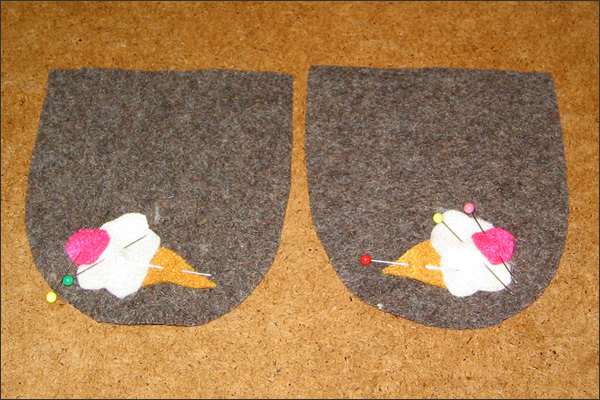 Here's the beginning of my ice cream pair. Most of the stitching is done. 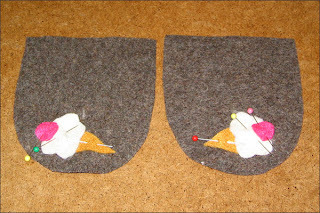 Tomorrow I'll add the bottom and finish up pair 2. 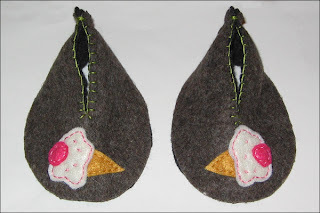 I feel super relaxed after working on the booties. Nothing says zen time like a buttonhole stitch!